Monika Savier, originally from Aachen, Germany, is an MA of social sciences. 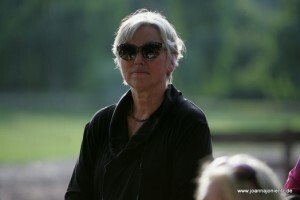 She founded TRE BALZANE stud in 1988. For more than 15 years now, she has also been working as an Equestrian Journalist. In 1995, she published the Italian edition of the ASIL ARABIAN BOOK, in addition to other books. 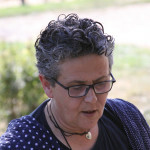 She has written a considerable number of articles for renowned international journals such as TUTTO ARABI MAGAZINE, DESERT HERITAGE MAGAZINE, EQUUS ARABIANS (Germany), the BAIT AL ARAB NEWSLETTER (Kuwait), ARABIAN HORSE NEWS (Australia), and the WAHO Press Office. Since 2009 she was the managing editor of the official ANICA journal in Italy, a task she passed on at the end of 2012. Teaming up with Dr. Hans Nagel and Mario Brunetti, in 2012 she founded NAWAL MEDIA publishers, with the purpose of promoting and publishing throughout the world information on research and preservation of the Arabian Horse Culture. Elisabeth Auer, born in Austria, is Stud Manager of Tre Balzane. She is a highly experienced horse trainer and equine physiotherapist. The breeding farm enjoys her outstanding coordination and management competence. At the centre of her thoughts is the HORSE, not only as a sports-oriented creature to be trained and bred, but above all as an individual to be taken care of with high levels of professionalism as well as suitable and innovative methods. 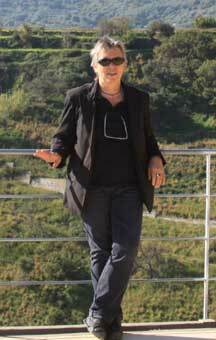 Stud administration in Tre Balzane is competently handled by Miriam Mattrella, our professional office secretary. She was born in Terni, Umbria and is a horse fan herself. She knows what to do when breeding papers of any kind are required, horse transport needs to be organized, or any other questions arise.